It’s not everyday that you come across a product that completely leaves you breathless. 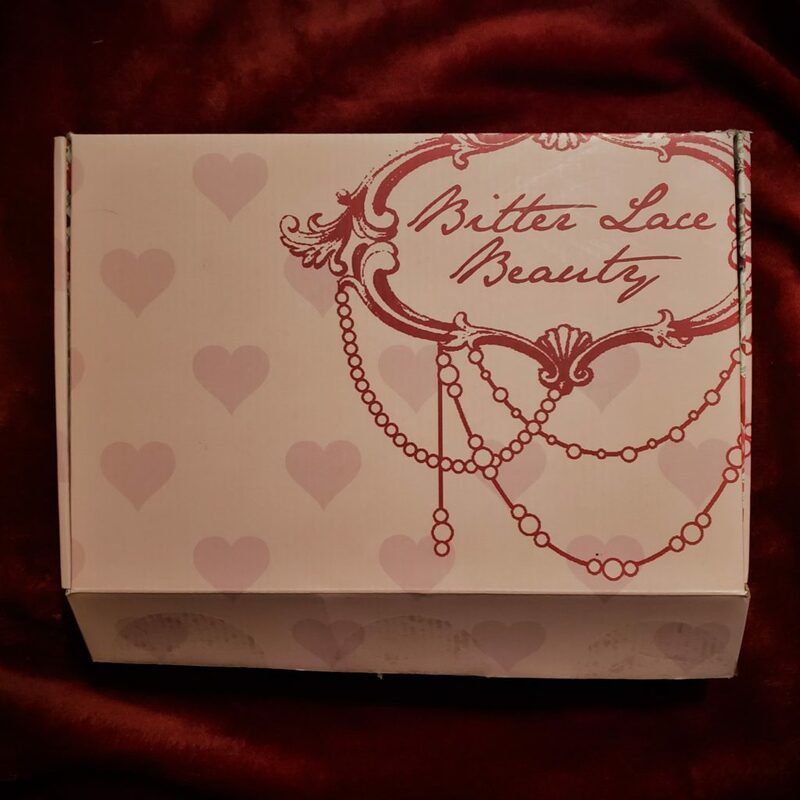 Bitter Lace Cosmetics is one of those brands that you will have a hard time finding anything that compares. 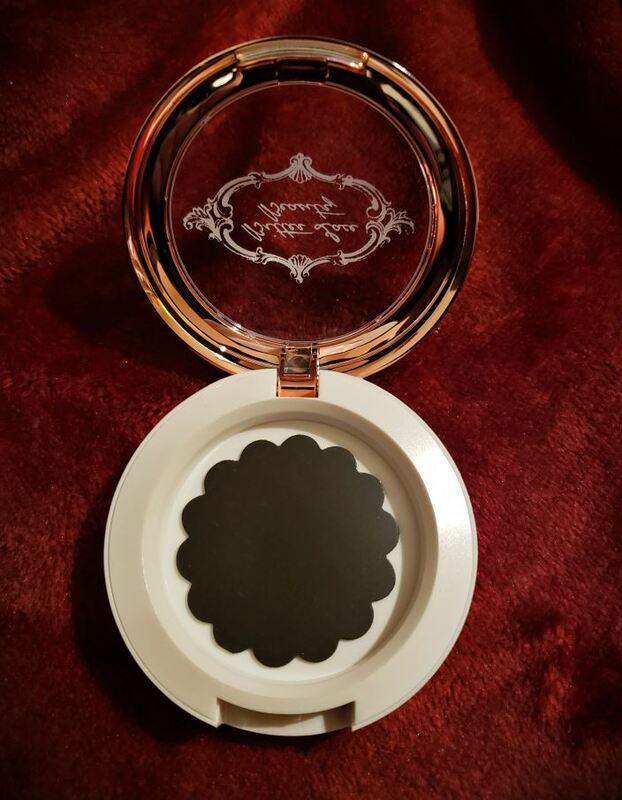 They were gracious enough to send us some makeup to review and nothing could have prepared me for the beautiful display and quality of their makeup. I had never used anything quite like it. It was totally amazing! The packaging was beautiful. The first notable thing about it was that it came in such a pretty box. Everything inside was wrapped up safely with bubble wrap so that there was no way anything could break during transport. Each of the cases had their own adorable little bag. Great for storage and easy to pick up and take with you on the go. 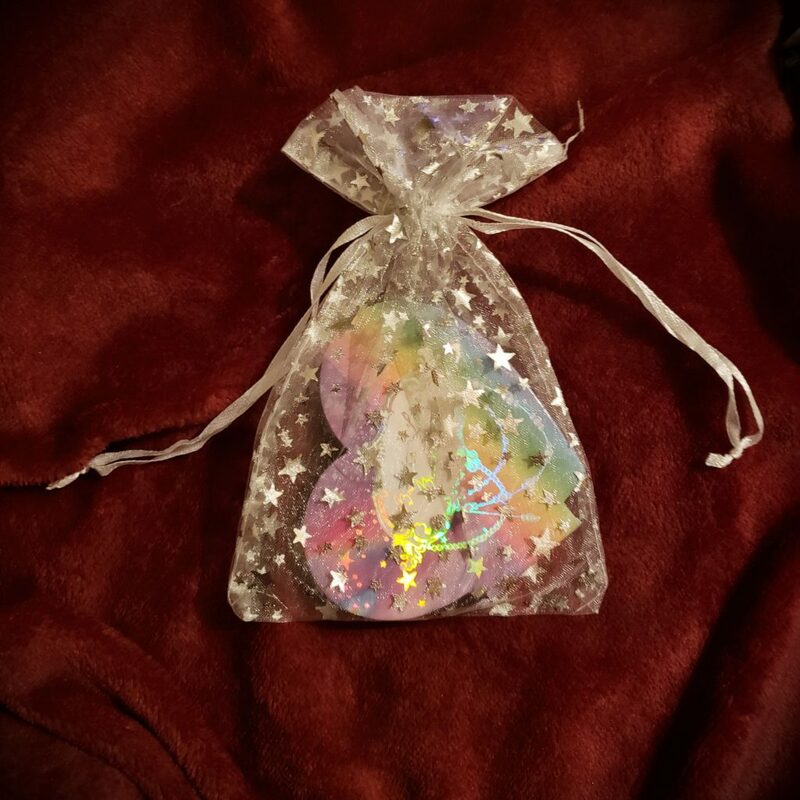 The different colored compacts were sorted into their own different styled bag. There was a lot of thought that went into the presentation of the product. Each highlighter had its own packaging. They are 44mm pans. The packaging again for these inserts was absolutely beautiful. 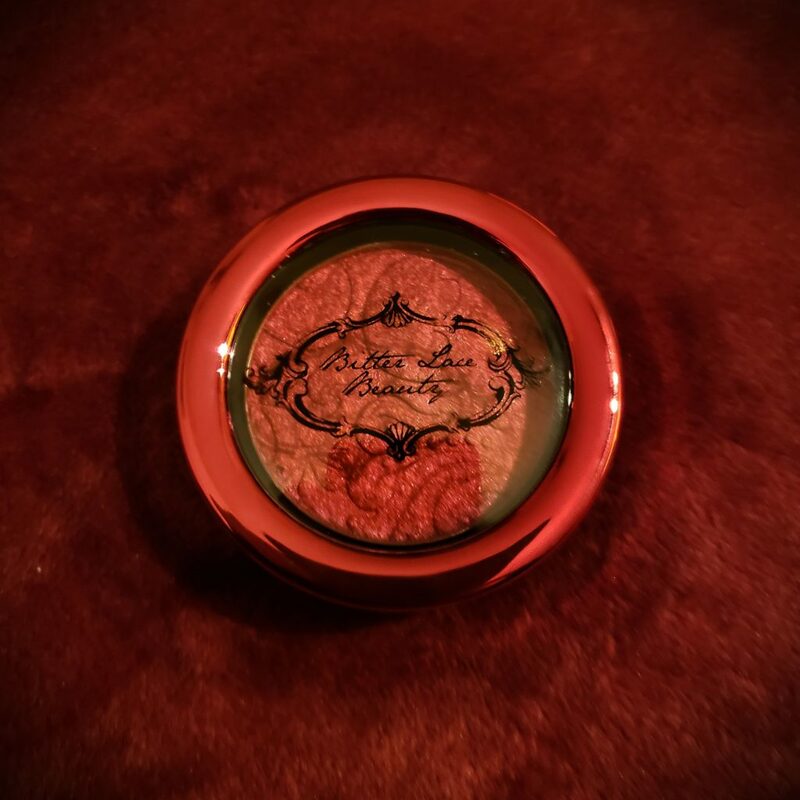 The compacts are magnetic and beautifully made. They have a metallic trim that just makes it shine. As soon as I opened these I immediately wanted to show it off to everyone! The metal pans pop in super easy and do not move. You can hold it upside down and shake it and the makeup stays in place. You can easily change it out just by using your finger nail and separating the magnet but in the case of an accidental drop it shouldn’t come out. This was my mine and my editor’s favorite case. It’s rainbow and shiny and along with the magnetic tray popping in the case also used magnets to keep it shut. The case does a great job of keeping the makeup safe as my editor did the backpack test. Basically you throw it in a backpack and see what happens after a day of walking around. It was perfect at the end of the test. Each highlighter pan is beautifully labeled and custom made for each of the collections. 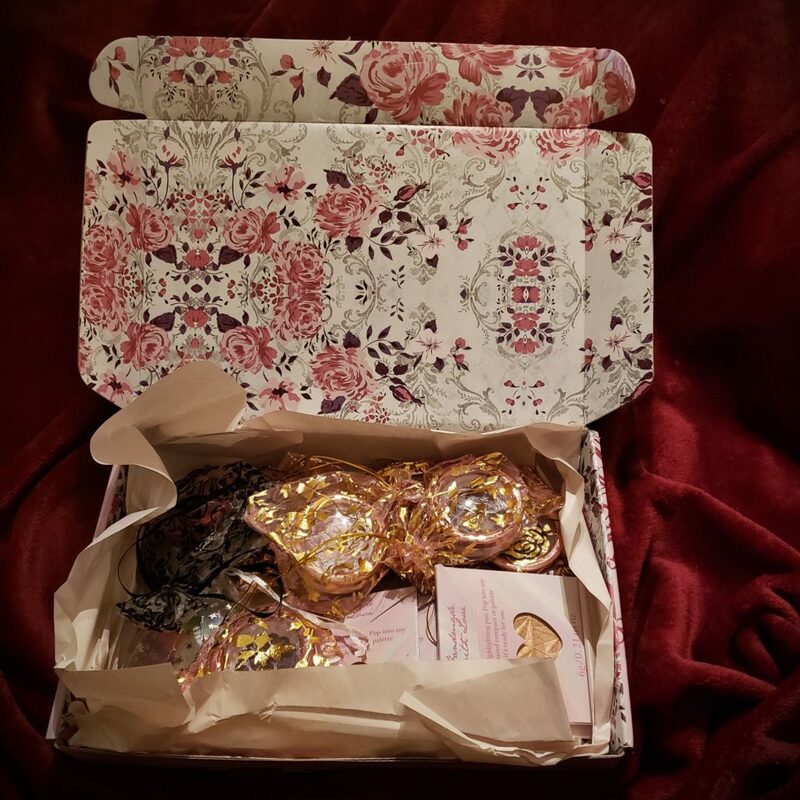 The information on the back makes it easy to reorder when you use it all up, which you totally will because these are all great quality and really pretty. 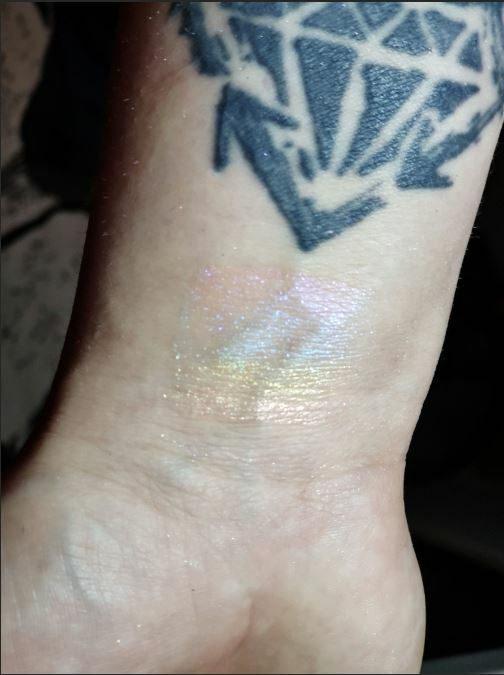 Pictured here is the all the highlighter I received outside of the special edition Unicorn Prism. Now let’s talk highlighters! First of all when you apply these highlighters everything is so soft feeling. You can use the tip of your finger or a fancy makeup brush and the color is just as vibrant and stays amazingly well. They are super shiny and no matter what lighting you have they look great. Indoors you look pretty, outdoors you look magical! From top to bottom; Citrine, Rose Quartz, Amethyst, Aquamarine and Peridot. Pictured here is the full Crystal Gems-Lighters collection. I really wanted to try this collection because my brain went straight to Steven Universe and that’s one of my favorite shows. 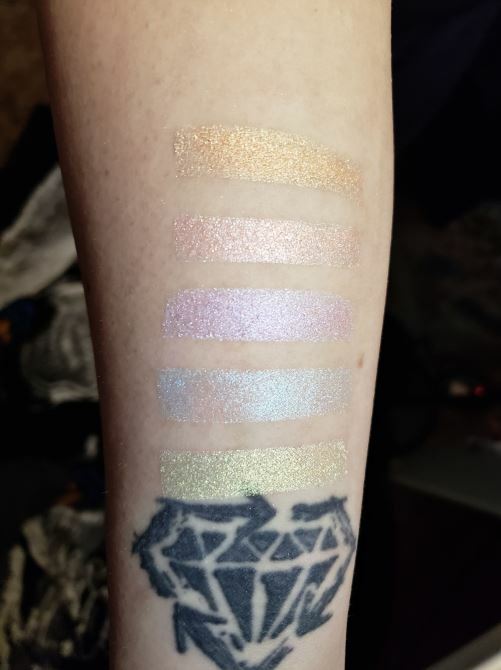 I wished I did heavier swatch that really showed off these color on camera because they are sublime. My heart almost couldn’t handle how breathtaking these are. The pigment on there…is absolutely everything I could want. I am a big fan of bright eccentric colors. Oh, and I can’t forget to mention each pan is scented with it’s own fragrance! I am not usually a fan of scented makeup, but it was not the case with these. The scent is very light and refreshing. They all smell pretty and honestly it makes you feel even more beautiful when you apply it. 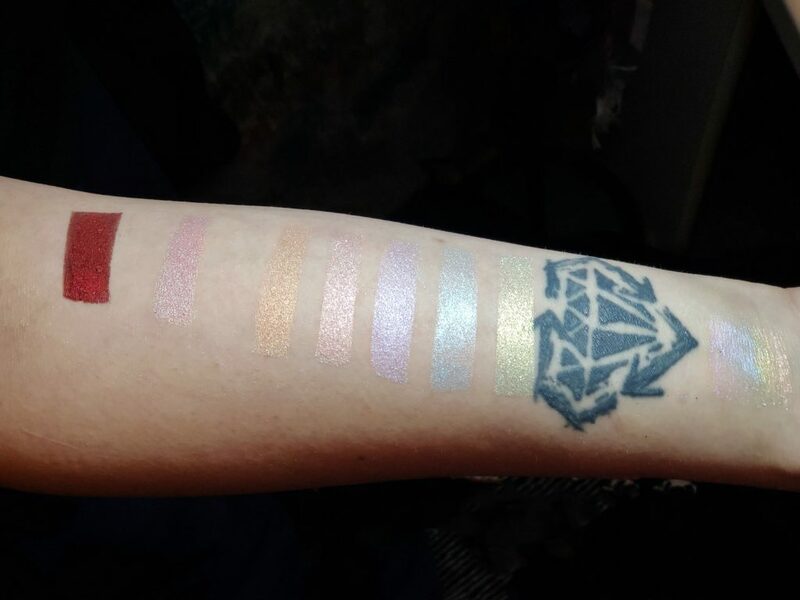 From left to right; Bloodlust, Rewrite the Stars, Citrine, Rose Quartz, Amethyst, Aquamarine, Periot and Unicorn Prism. Bloodlust’s color was so rich and deep it quickly became my favorite. I am a huge fan of red makeup and as soon as I saw it my heart skip a beat. It’s a bit dark for my skin tone to wear on a daily basis, but I will find a way to work this into my weekend look. The best part about it is you can use if for anywhere. Eye shadow, accents, blush you name it you can use it. It’s part of a special Valentines collection that Bitter Lace has going on right now. If you like it get it because it’s limited edition and totally gorgeous! 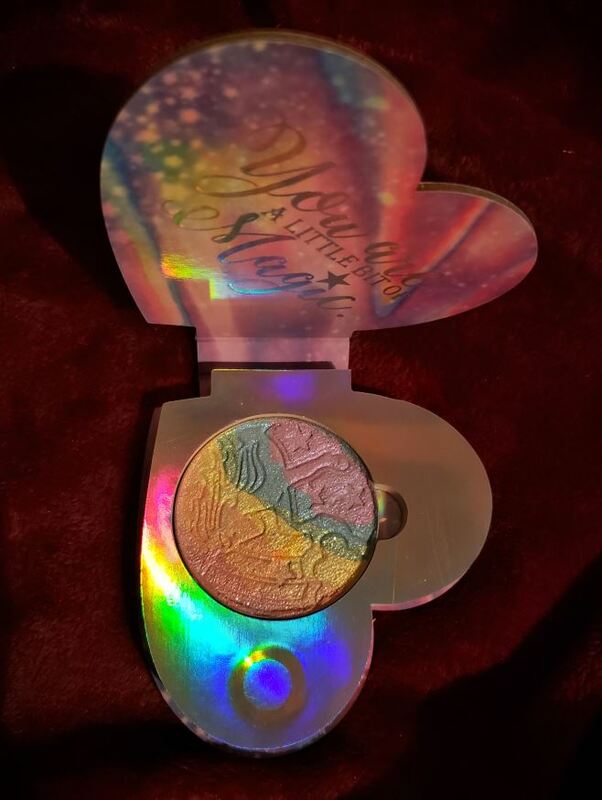 This rainbow highlighter is what all little girls dreams are made of. It glows so exquisitely, this had to be my second favorite. And the scent is nice and fruity as well. 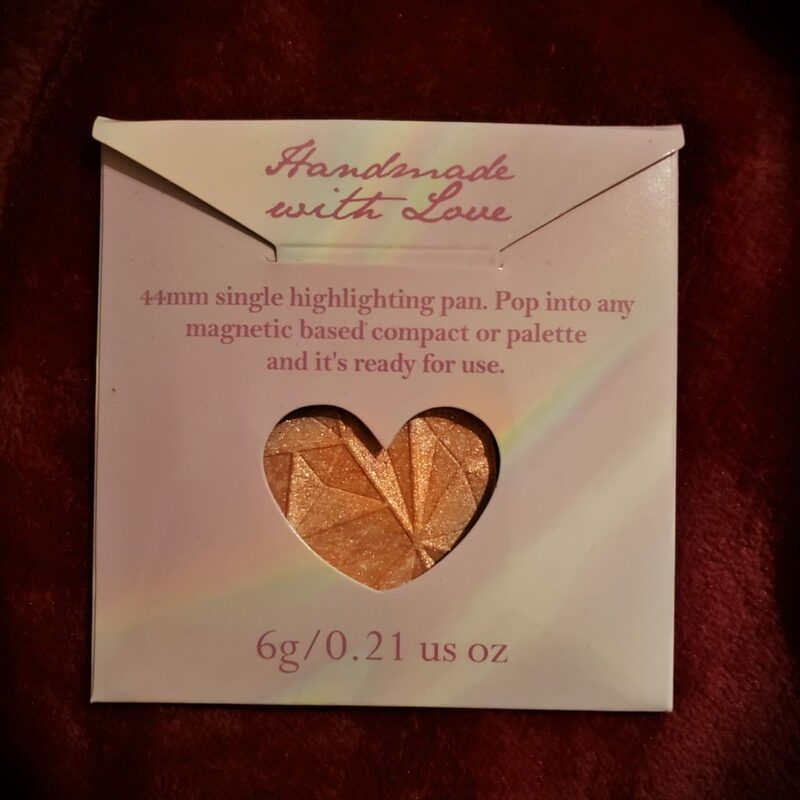 If you are looking for a rainbow highlighter, stop what you are doing and buy this Now! I know my editor super loved this one and wears it daily now. It’s perfect not only for those who want to wear it with a heavier look but also for people who wear minimal makeup but like an extra pop of color. I decided to do two looks using their products. 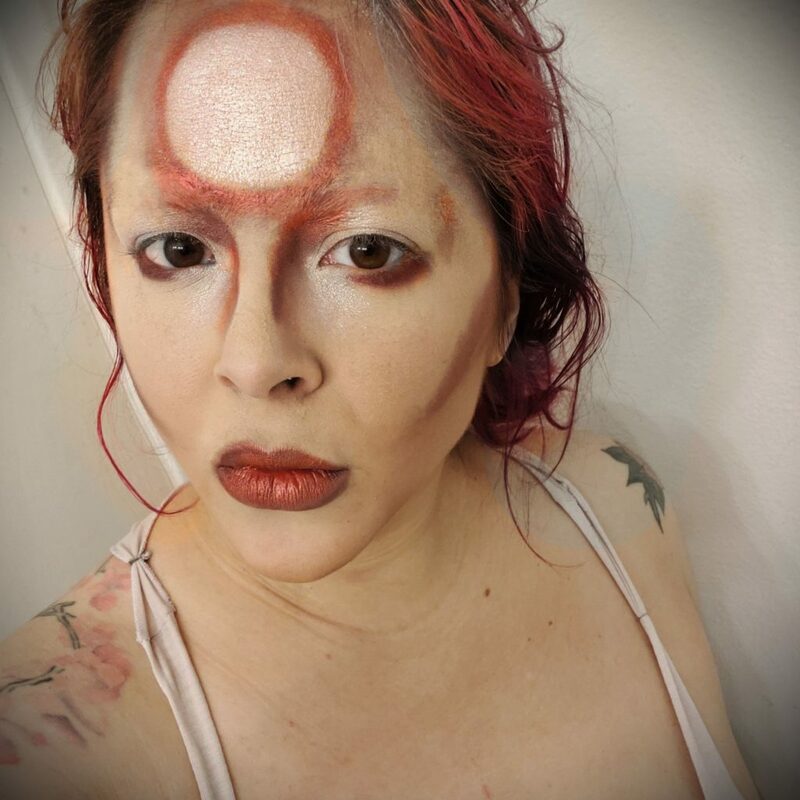 First being this David Bowie inspired look. This is using Bloodlust and Rewrite the Stars. This is my take on Ziggy Stardust Era Bowie. 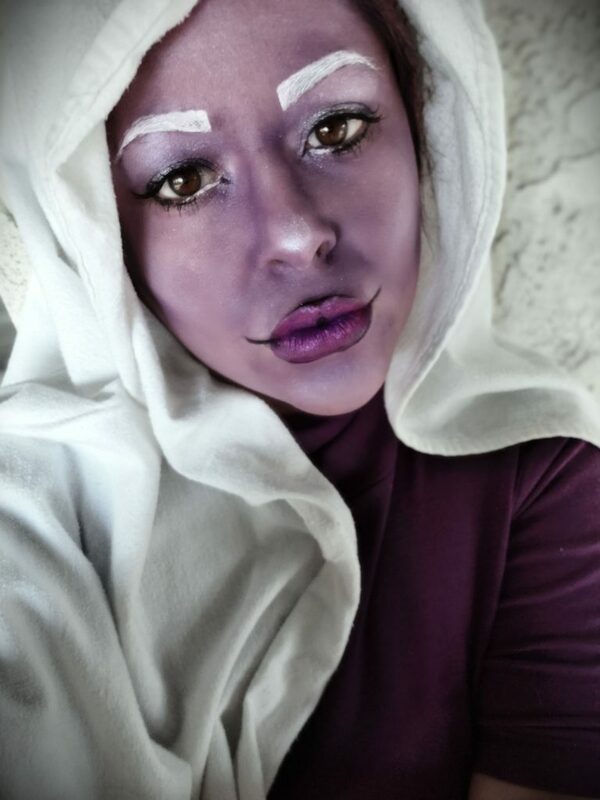 The second was an Amethyst (Steven Universe) inspired look. I used the Amethyst highlighter for well, highlights. I’m honestly so excited to incorporate the Crystal Gem-Lighters in everything from now on. 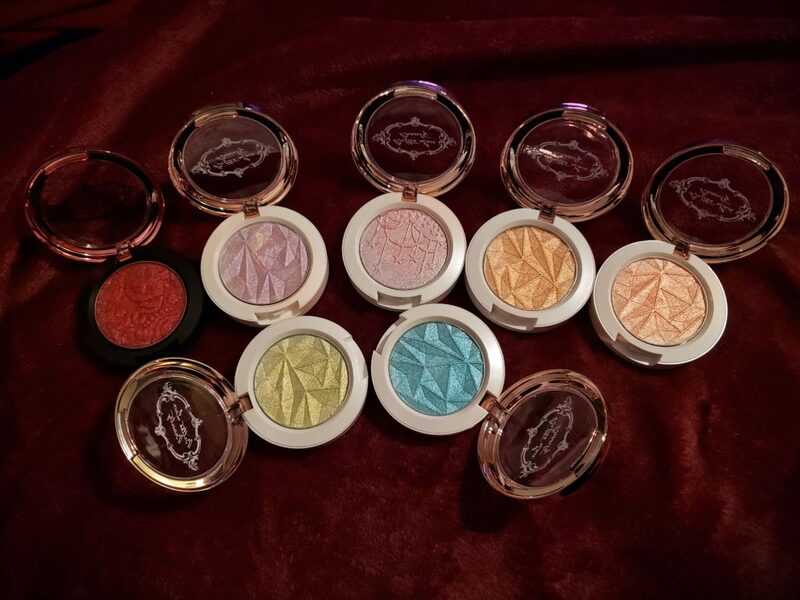 The presentation of these products and pigment makes these highlighters worth every penny. 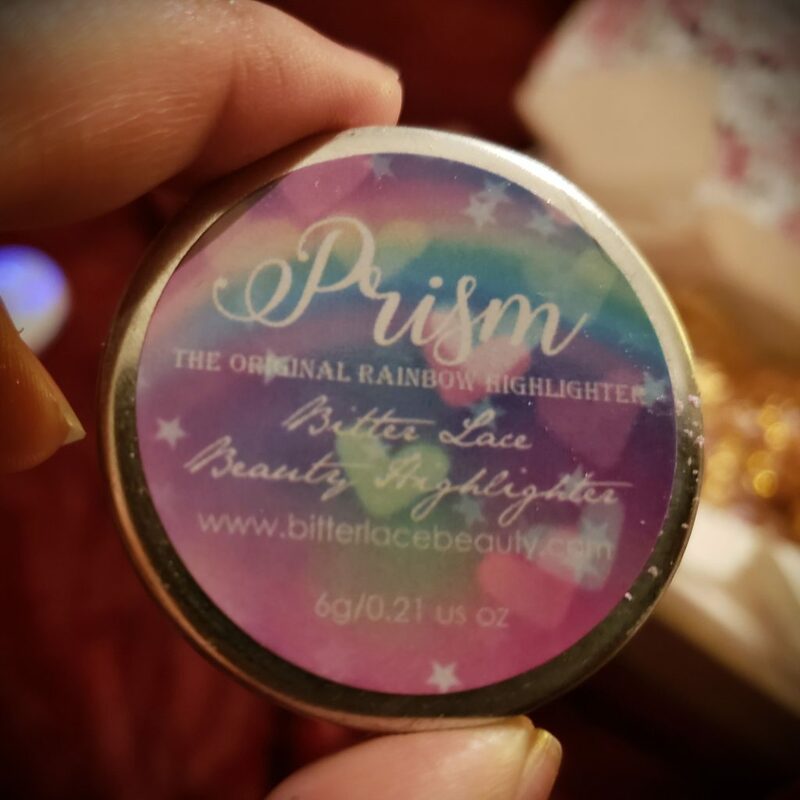 I would highly suggest getting Bitter Lace Beauty products if you are looking for some amazing highlighters. The price on these is very fair for the quality of makeup they give you. Compare them to makeup you can find at mall stores like Mac and Sephora and these blow anything they have to offer out of the water. 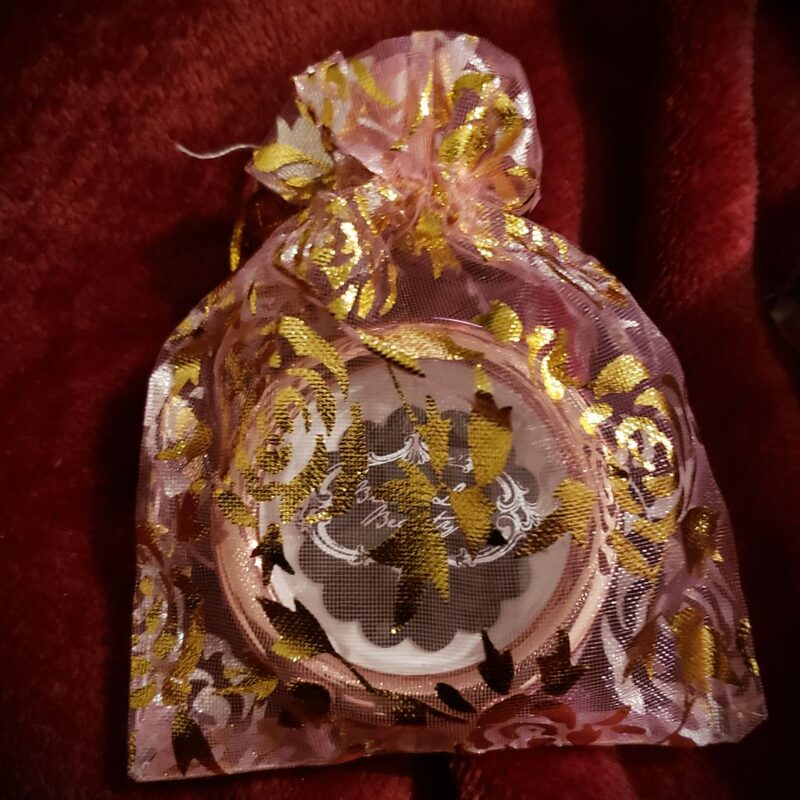 Have you ever tried Bitter Lace Cosmetics? 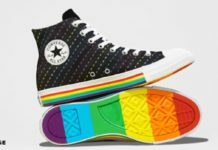 Will you be trying them in the future? Let Nerdbot know in the comments! Follow QuietSoup on Instagram for more amazing makeup looks! 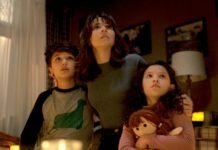 *Nerdbot would like to thank Bitter Lace Beauty for providing us with their product for review. We would also like to wish them a very Happy 5th Birthday!